Are you a Beijing resident? Early Bird special! Reservations received by April 1! WILL YOU BE JOINING BOTH SEDER NIGHTS? WILL YOU BE JOINING OTHER PESACH MEALS? DO YOU NEED THE FULL PESACH FOOD PACKAGE AT CHABAD? 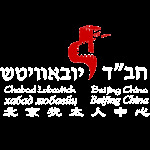 PLEASE EMAIL chabadbeijing@gmail.com FOR PRICING. please send name as it appears on the card, card number, card exp. date, CVV number and billing address. b) A Credit card must be given to secure the places and cash given at a later date.